How do components play a role in your work as a fire professional? Research shows structural components perform better in fire events than some may think. 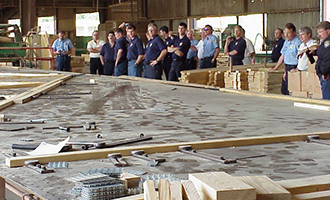 In the event of a fire event, components are better able to provide a visual of the components being effected by the fire before there is a collapse unlike other framing methods. The structural building component industry has worked with fire officials for year to determine how components should be designed to ensure they are structurally sound under fire conditions. Components are designed with highly sophisticated software to ensure the structure can exceed load requirements and constructed with high quality products manufactured in a controlled environment. Understanding the science, math, technology and many other factors that go into structural building components can give you a leg up the next time you are called to inspect a home or large project. View a brochure that shows 23 widely-used truss configurations and defines truss terminology. In this article, you’ll get to know the truss – up close and personal. You’ll understand a truss’ components and how it all works. 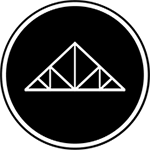 By the end of it, you will come to see trusses as a reliable and predictable engineered product. Resources on fire-related construction, fire service education, and fire damage. Crew members with A.L.B. Building, with the help of a crane operated by Industrial Engineers Inc., moved trusses Thursday for the new roof of Poquonnock Bridge Fire Department. The new trussed roof will replace the building's current flat roof, which leaks.